As the Imperium of Mankind spreads across the galaxy, bringing all of humanity into its embrace, the advance is spearheaded by the primarchs, superhuman sons of the immortal Emperor. Each of these heroes is a warrior born and a leader bred, but darkness lurks in the hearts of some and threatens to tear apart all that they have worked to build. 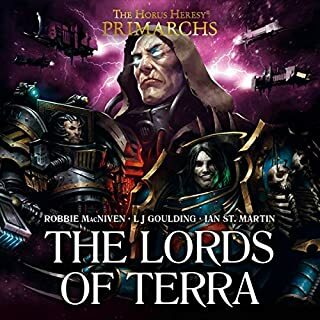 This audio drama anthology contains three full-cast tales, starring the primarchs Konrad Curze, better known as the sinister Night Haunter, and Perturabo, the Lord of Iron.